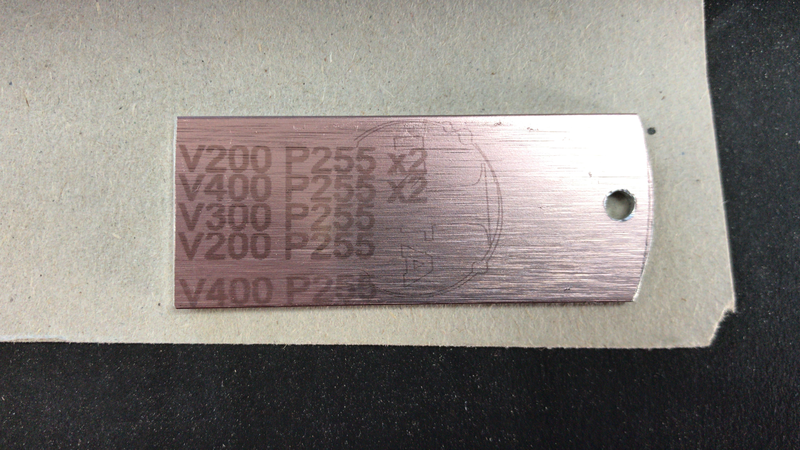 I have just tried to engrave something in an aluminium plate (50x20 mm). I was not very confident on having a good result, but to my surprise it finally came out quite good. 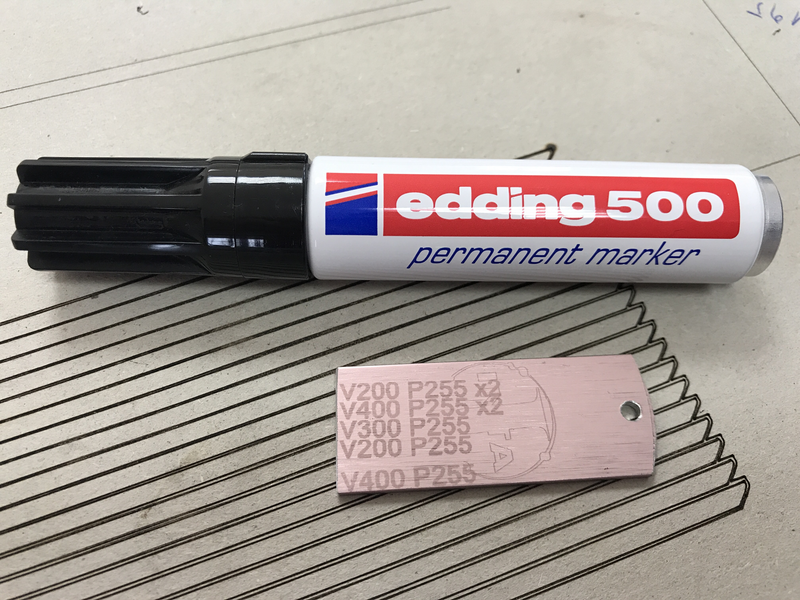 I used a black edding 500 permanent marker pen to paint the surface to engrave first, let it dry for 1/2 min (yes, I hace no patience at all 😅) , then engraved and to finish I used solvent and a soft cloth to remove the black paint. As you can see in the photos below there is not much difference when using different speeds. I also tried with 2 passes and still not much difference. Hope it helps for your future engravings!! @alvar0.ga That looks really good, it's amazing what you can engrave with these low power diodes.